Remove an unwanted or incorrect email address? 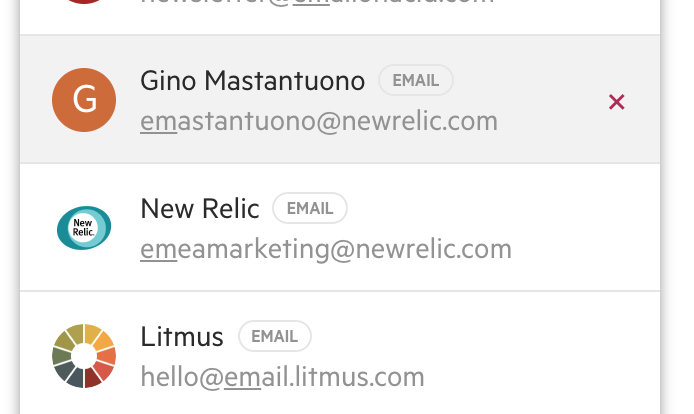 It's easy to remove unwanted email addresses from suggestions. Have you ever made a typo with an email address, only to have that same incorrect email address always appear in your suggestions? You can easily remove these unwanted addresses so that you don't see them anymore—simply hover your mouse over the address and click the 'X' that appears next to it. Note, this will only work for addresses that are not attached to any of your firm's contacts.